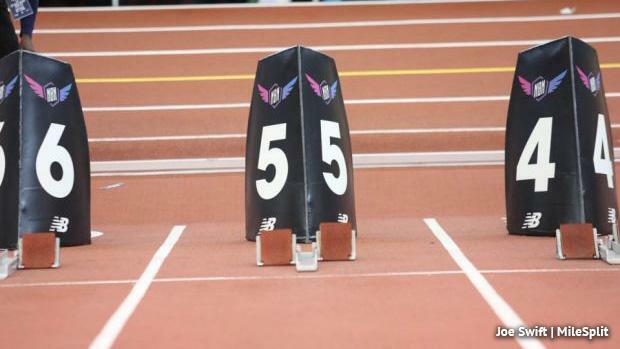 The first day of New Balance Nationals Indoor at The Armory in New York City brought plenty of big performances from Pennsylvania athletes. Most of the events were "Emerging Elite (EE)," but there were a few championship events throughout the day. In the Championship girls' 5K, North Penn's Ariana Gardizy ran a PA#1 time of 17:33.60 to take ninth overall. Chambersburg's Abby Yourkavitch was 12th in 17:55.57 (PA#2). In the Championships boys' 5K, Brenden Miller of Upper Dauphin was the top PA finisher, coming across in 15:24.50, a PA#1. The Friends' Central girls took home 12th in a deep Championship girls' DMR. The girls ran 12:16.70, not far off their own PA#1, in a race that saw North Rockland (NY)'s Katelyn Tuohy anchor her team to the win with a 1,600 meter split of 4:39. In the Championship girls' high jump, both Lydia Bottelier of Palisades and Kayla Gillen of Twin Valley jumped 5-07. After attempts were factored in, Bottelier placed eighth and Gillen was 11th. Carlisle's national record in the DMR survived another season. In what turned out to be a tactical race on the anchor legs, Brodey Hasty of Brentwood (TN) out-dueled Sam Affolder of Loudoun Valley (VA) to give his team the win. Affolder was apart of Carlisle's record-setting DMR before he transferred down south before this, his junior year. Central's Lauryn James improved on her season best and took fourth in the finals of the EE girls' 60 meters. James clocked a time of 7.65, a PA#5. Fresh off a state championship performance a few weeks ago, Bermudian Springs' Kolt Byers keeps rolling. He placed second in the EE boys' high jump, clearing 6-05 (just off his winning jump from states). Greensburg Salem's Malia Anderson placed tenth in the EE girls' 800 meters, clocking a 2:15.81, not far off her season best. Brianna Smith of Cheltenham jumped 5-05 to place fourth in the EE girls' high jump. Five PA girls jumped 11-08.5 in a very competitive EE girls' pole vault. Among them were Manheim Township's Sydney Horn (11th), Richland's Morgan Gossard (14th), Abington Heights' Danielle Heine (20th), and Scranton Preparatory's Victoria Atkinson (24th). State College's Lance Hamilton took home seventh in the EE boys' long jump with a leap of 22-00.75. Stroudsburg's Jasmine Douglas-Grant ran 57.50 to match her season best in the EE girls' 400 meters. She placed 13th. Springside Chestnut Hill's Haley Unthank took 18th in a time of 58.00.